Wecome to Kels Craft Barn and thank you for your interest. Crafting is a terrific hobby and I work very hard at making my files. 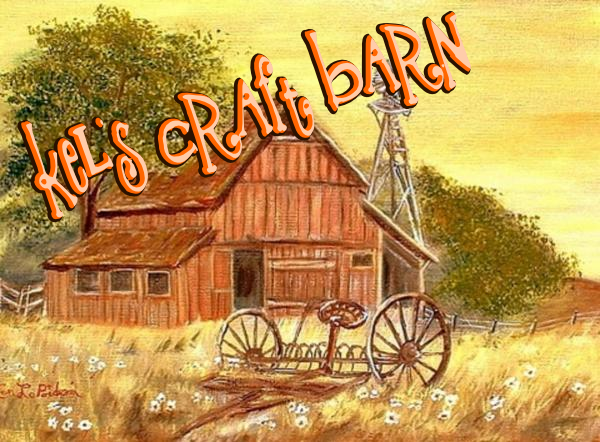 Please remember All Content that I have made is copyrighted © Kels Craft Barn. Well I have been married 32 years to a terrific man and my best friend. We have 2 children Danielle 32 who is married and gave us 2 grandchildren and Travis 28 who gave us 1 grandchild. along with sharing my love for Young Living essential oils, I run a daycare for 27 yrs, love to camp, read and travel. DISNEY is my favorite place. Hello all, I have been busy lately and have not had time to play. I have just finished this haunted house in time for the up coming Halloween season. It is a freebie so I hope you can use it. Get it here and thanks for taking the time to look. What a great house. I can see it with a big yellow moon behind it. TFS! If you see someone without a smile, give them one of yours..
smell, catch fire or block refridgerator door, let it be. learning to dance in the rain.."
Every day is a new beginning. Learn the skill of forgetting. WORK like you don't need the money, LOVE like you've never been hurt, and DANCE like no ones watching.. When you were born you were crying and everyone around ws smiling.. live your life so whe you die, you are smilin and everyone around you is crying..
All I ask is to be able to prove money can't make me happy ! !